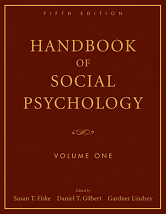 First published in 1935, The Handbook of Social Psychology was the first major reference work to cover the field of social psychology. 25. CLOSE RELATIONSHIPS - Margaret S. Clark and Edward P. Lemay, Jr.